for other small businesses like yours. You are truly amazing! From an outstanding web design to answering my crazy questions along the way, you have exceeded my expectations in every way! Thank you for a wonderful, no-stress experience. As a small business website designer, I have helped many clients achieve an internet presence that furthers their business objectives. Below are examples of some of the few website design and web development projects I've completed. These projects include aesthetic layout designs, complex dynamic features, search engine optimization, and custom website development work. I'm proud of my work and hope these examples illustrate my passion for web design. If you would like to learn how the Austin WebKing can help your small business, please contact me. Health Care Systems is a software company that delivers integrated medical information systems focusing in the areas of medication reconciliation, pharmacy, nursing, and radiology. Having worked with HCS previously on Search Engine Optimization, they reached out to me again when looking to save hosting costs and improve their content management system (CMS). Their previous provider was charging enourmous fees for hosting and licensing of the CMS. By migrating to a new hosting provider and switching to an open-source CMS, I saved HCS several thousand dollars annually. Are you paying CMS licensing fees? If so, contact me today to learn how an open-source CMS can save your small business money. 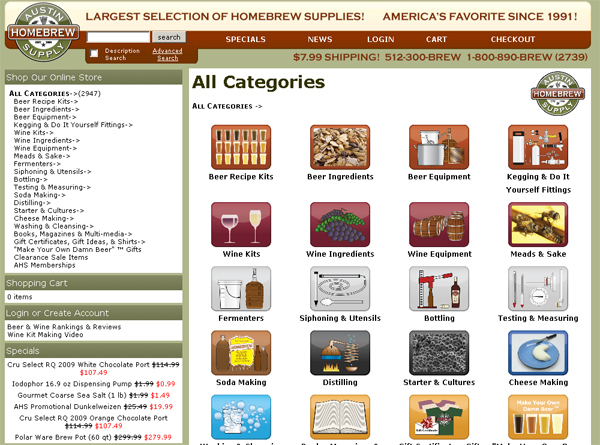 Austin Homebrew is an Austin, Texas homebrew and winemaking supply store serving brewers and winemakers since 1991. I first supported AHS as part of site migration to a new, less expensive, hosting provider. Since then, I have provided on going maintenance to support their open-source e-commerce platform. Integrating UPS shipping rates, supporting gift certificates, and improving the ability for customers to provide product comments are among some of the many enhancements I've completed for the benefit of both the site administrators and customers. 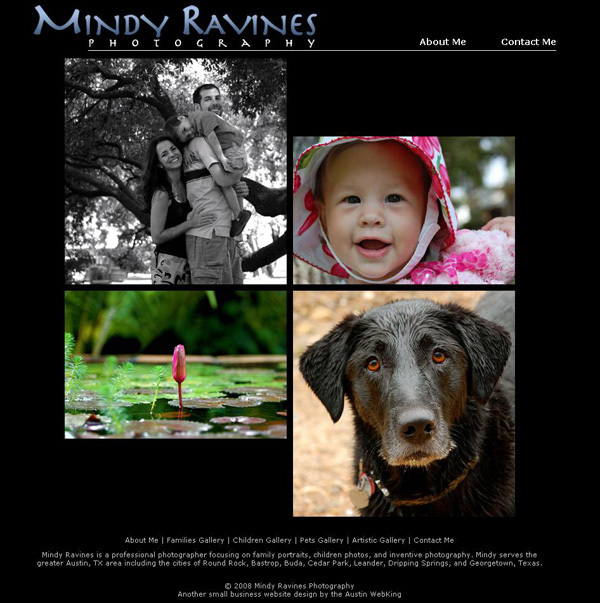 Mindy Ravines is an Austin, Texas professional photographer specializing in family portraits, children portraits, and pet photography. 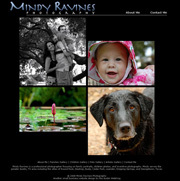 Mindy wanted a very sleek website with photo galleries to allow her pictures to speak for her. In addition to the website, I developed a password protected section to enable her clients to view the photos from their session. This section has an administration panel allowing her to set up new users, control access, and set up new galleries. Health Care Systems is healthcare software development company offering several clinical applications for healthcare providers. HCS was receiving limited traffic from the major search engines and asked me to consult on developmental opportunities. I delivered a comprehensive assessment of their strengths and best practice methods they could employ to improve their rankings in search engine results. HCS went on to have me implement many of my recommendations with excellent results. Before my recommendations, HCS had only two search phrases which ranked in the top 100 results. After, they they had nine in the top 80, including two terms as the first result and five in the top 20. In three months, the site had received as much traffic from search engines as it had in the entire previous year. The Howard Thomas Group is custom healthcare software development company. 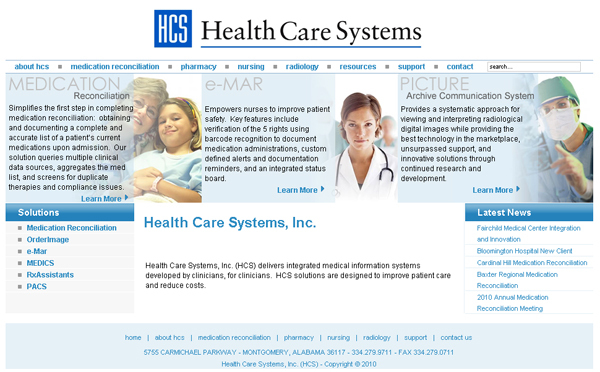 HTG was interested in developing a site to showcase their many software products for healthcare institutions. They wanted a site that used images which reflected their unique business niche. The site was developed with advanced features such as a rotating image banner displaying their products, a referral form, and a password protected section to provide software updates for clients. Apex Custom Software is healthcare software development company offering several hospital and clinical software products. Apex desired a simple but elegant layout that directed visitors quickly and easily to their products.